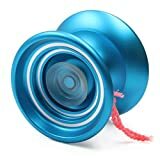 Why should you buy a responsive yo-yo? 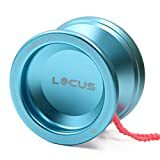 Do you enjoy playing with a yo-yo, but are not sure which one you should buy? 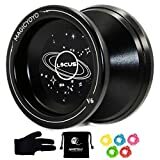 Are you a beginner in the field of yo-yos? Well, allow us to help you here. There are two types of yo-yos: responsive and non-responsive. When you throw a responsive yo-yo, it returns right back to you. A non-responsive yo-yo, however, stays spinning after you release it, and comes back only when you perform a bind. 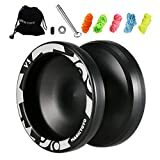 For the newbie, we would suggest the classic and the best responsive yo-yo, which allows you to perform almost any kind of trick. However, since it can be quite overwhelming to make a decision about which yo-yo to buy, we have composed this guide to help you choose the perfect yo-yo from the various types of responsive yo-yos available in the market. 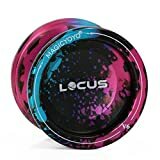 What should you consider when buying a responsive yo-yo? 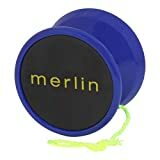 The classic shape is the original, traditional model, and is great for standard yo-yo tricks. 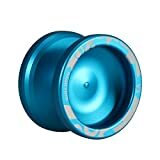 The flared gap shape is also quite common; it has a wider, V-shaped space that makes it easier to catch the yo-yo back. 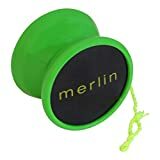 The modified shape is for an advanced level yo-yo player who needs it for looping types of tricks. Materials: Yo-yos come in wood, plastic or metal. The majority of the yo-yos today are made of plastic, though the wooden one is the most original. Metal yo-yos are made of aluminum. These are slightly heavier, which gives them longer spin time. However, these are most appropriate for professional players. Beginners are often advised to start with a plastic yo-yo. Apart from the above, it would be worthwhile to also check the yo-yo axles and yo-yo strings, in order to purchase the perfect one for you!